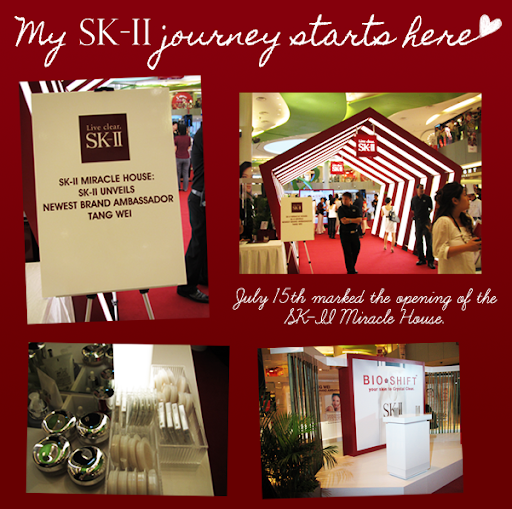 Last Friday, I was able to attend the opening of SK-II's Miracle House thanks to Xinyi (Thanks so much, sweets, for extending your invitation to me! :D). 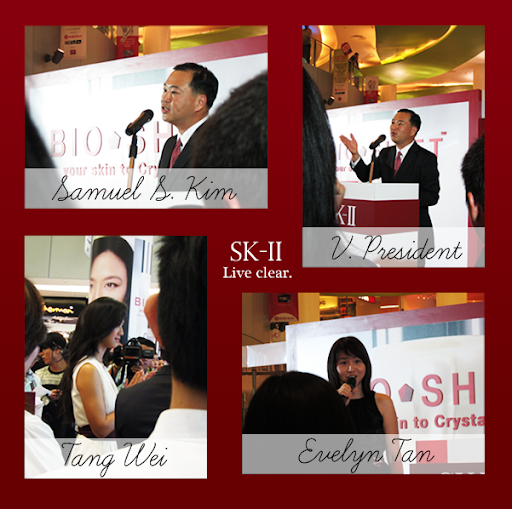 I first encountered SK-II products when I was 17. The mummy received a bottle of the Facial Treatment Clear Lotion for Christmas and I used it whenever she wasn't home. Haha. Using it felt extremely luxurious and I remembered the luminosity my face achieved from using it! The leads for the day were Evelyn Tan who's the emcee (I liked her A WHOLE LOT when she first entered the local entertainment scene. The sister and I bought her CD and memorized all her songs. ), Mr. Samuel S. Kim who's the vice-president of ASEAN & Asia Development Markets, Procter & Gamble Asia, and the very beautiful and talented Tang Wei! 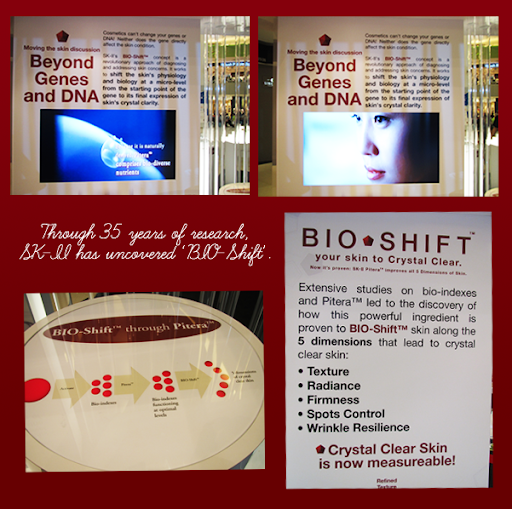 The event's focus was on the 'BIO-Shift', which was explained to us by Mr. Kim. This is a revolutionary approach towards diagnosing and addressing skin concerns, uncovered after 35 years of meticulous research. 'BIO-Shift' is a holistic concept of improving the skin. You know how teachers in schools are always stressing about 'holistic education' and being 'well-rounded' (Umm, at least mine did. A LOT. Haha.)? Well, the same applies to the skin too. We need to take care of all areas of the skin and not just tackle a single problem. This was followed by an interview with Tang Wei, conducted by Evelyn Tan (She's awesome at translating from Chinese to English on the spot. But do note, Tang Wei's English wasn't the least bit shabby!!!). 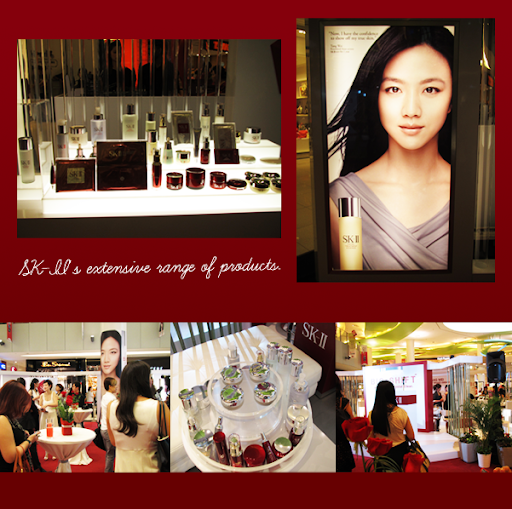 This was Tang Wei's first appearance as SK-II's newest ambassadress! Describing herself as a tomboy (Really, tomboy?) and one who's very into sports, she didn't really take care of her skin. 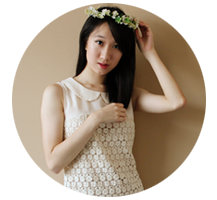 She started using SK-II's products a year ago and after using it, she realized that her skin became smoother and more moisturized. There was also the much coveted luminosity and glow! Her makeup artist also commented that makeup applied onto her skin better too. One thing which she believes in majorly is that exercise is important. When we sweat, our pores open up and toxins are able to get out of our body. This way, our skin will be able to absorb our skincare products better! "While I have to travel around in the nature of my work, I have full confidence that SK-II can meet all the different needs of my skin, affirming its commitment to shift the destiny of my skin to a new level of crystal clarity." After the event, I decided to watch '色，戒 (Lust, Caution)' to know more about her (You can read about my thoughts here, though they are pretty redundant. Heh.) and indeed, she deserves every single award that she has won.